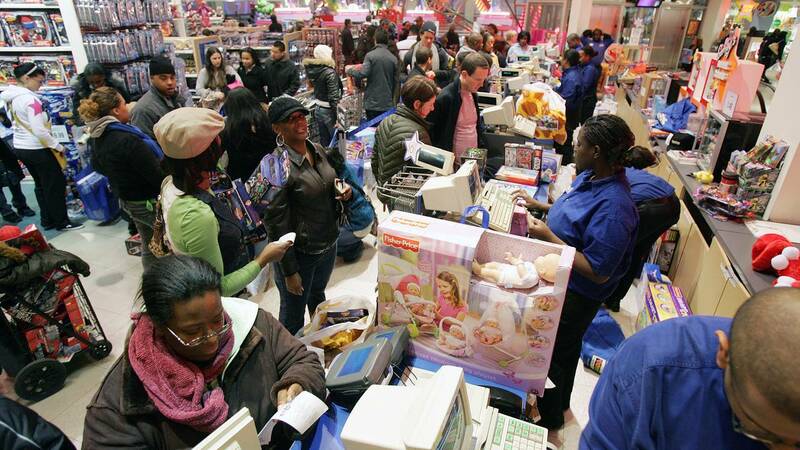 NEW YORK (CNNMoney) - Americans spent at a record pace this holiday shopping season, according to a report from MasterCard's SpendingPulse. Shares of Macy's are up 33% since their pre-Thanksgiving close, and Kohl's is up 29% -- including a 6% jump Tuesday. Gap has increased 20%, while shares of Target climbed 15%. Shares of the struggling retailer J.C. Penney have even managed a 3.4% gain in the past five weeks.